I'm in the middle of cleaning my apartment as part of a new year organization and cleaning spree, and under the bed I found a bin that I did not remember that we had put there. In it, were several items of clothing that, at one point over the last year and a half I had been like, "whatever happened to my __". Turns out they were all in this bin that was under the middle of the bed and which I had totally forgotten about. Most of the clothes went immediately into the Goodwill pile, since if I hadn't noticed they were gone, it was a good indicator that I didn't really need them. 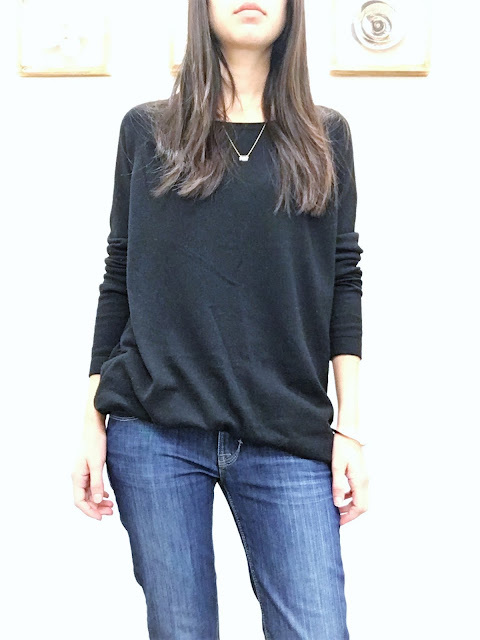 Some of the items, however, were like this black sweater, which was in there and which I missed so much - I'll never lose you again sweater! 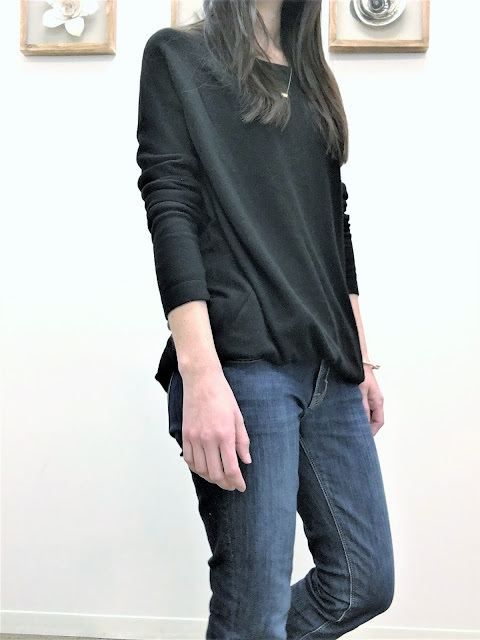 It is a pretty basic sweater - from Target, but it is so soft and I love the way it fits. It is also the perfect length to wear tucked into jeans, or, as a mini dress with over-the-knee boots (that one, obviously not worn to work). I usually get dressed shoes last (metaphorically - although also literally) as I know some people start with shoes and work upward when planning an outfit. 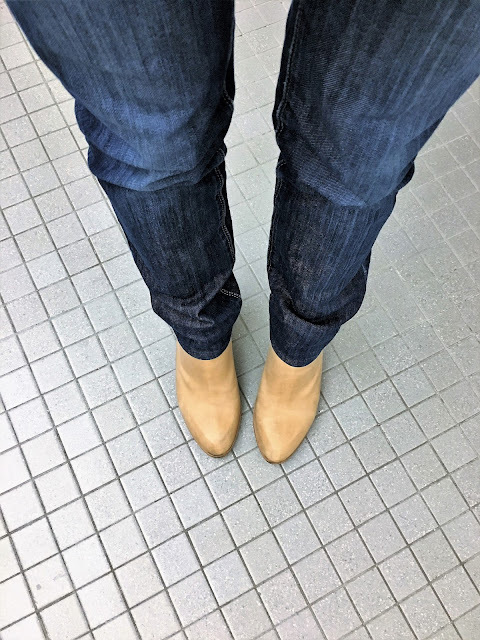 I took a chance that these tan booties would go with this look, and was pleasantly surprised. I also then put on some rose gold jewelry, to help bring other warm pink/yellows into the outfit. 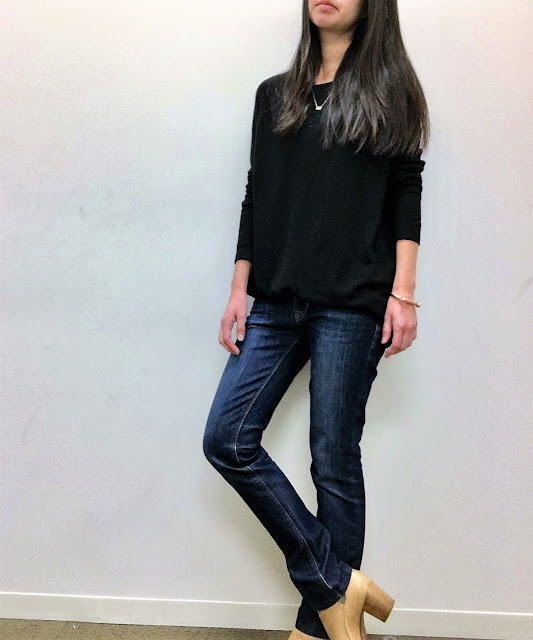 The shoes are Coclico, a brand I've talked about a few times (here and here), and were my first purchase from the brand, which I stumbled upon on Amazon back in 2014 (they are currently on sale, in suede, on the Coclico website - I am a size 7 and usually wear their 37, but these, per their website, run a half size small so I sized up). They are an ankle boot (I neglected to take a photo showing just the shoe) and have a cool cut out look on the shaft. Do you ever feel like you just cannot find that one piece of clothing that you know is somewhere in your closet?